Qantas Airways (85.7 percent OTP) and Qatar Airways (85.5 percent OTP) earn five stars. 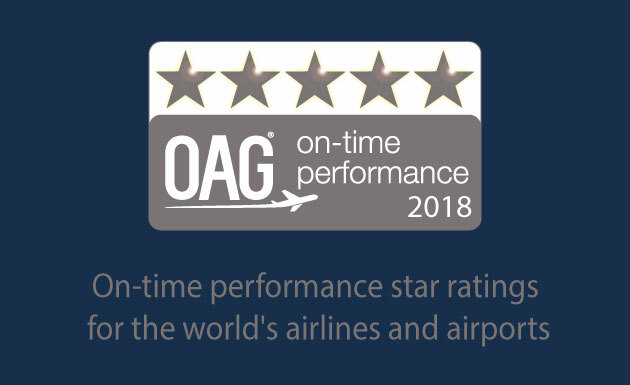 United Airlines (80.7 percent OTP) joins Delta Air Lines (83.8 percent OTP) as a four-star performer in the U.S.
London’s Heathrow Airport (LHR; 73.9 percent OTP) achieves a two-star rating, despite significant capacity constraints. Amsterdam (AMS) earns three stars (77.2 percent OTP). Japan’s biggest airport, Tokyo Haneda International Airport (HND) earns five stars; All Nippon Airways (83.9 OTP) and Japan Airlines (84.5 OTP) earn four stars each. In Latin America, Copa Airlines (five stars and 88.2 percent OTP), Volaris (five stars and 85.5 OTP) and Azul Airlines (four stars and 83.7 OTP) perform admirably. 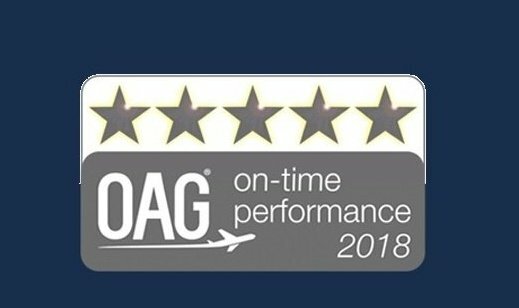 LUTON, June 28, 2018 -- OAG, the global leader in flight information, has released its On-time Performance (OTP) Star Ratings, which accredits the top airlines and airports around the world for superior punctuality performance. Notable carrier performances across the globe include Qantas Airways and Qatar Airways (five stars each) and Delta Air Lines, United Airlines and KLM-Royal Dutch Airlines (four stars each). Japan’s Nagoya Komaki Airport (NKM) and Atlanta Hartsfield-Jackson International Airport (ATL) performed exceptionally, earning five and four stars, respectively.